So…broccoli was on sale at the store and because I have a wee bit of broccoli obsession, I bought a huge bunch. I’m talking like 8 heads of broccoli. Mike really likes broccoli too so it wasn’t difficult for us to finish them off. 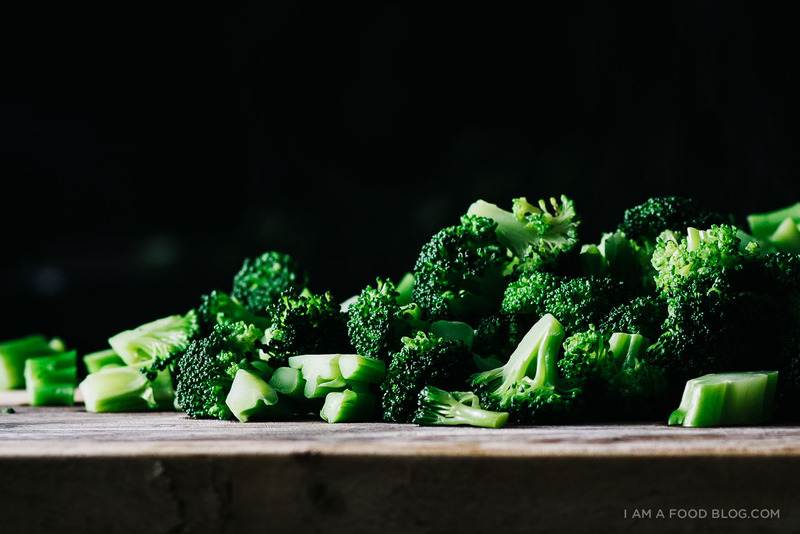 I hear that broccoli isn’t really a popular veggie – I’m guessing that some people think that it’s boring, but I really love its crunch, its color, and the texture difference between the florets and the stems. With a broccoli abundance on my hands I was able to experiment! 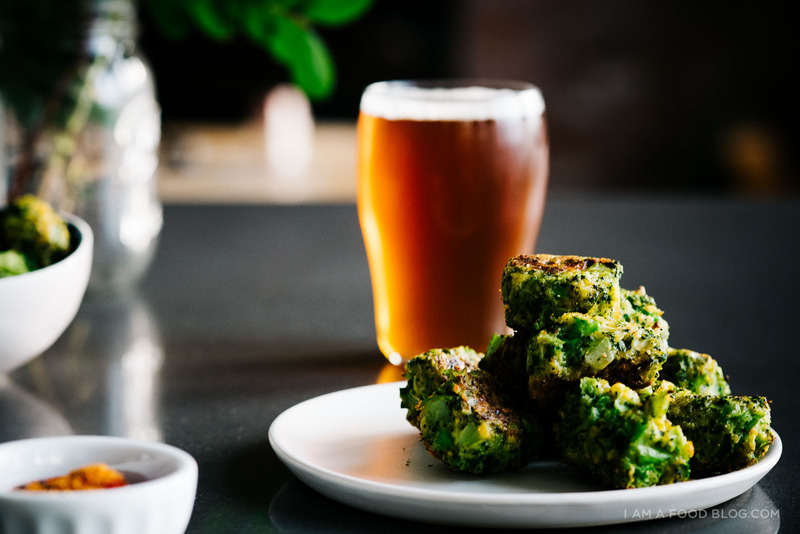 I have a bunch of broccoli recipes up my sleeve, but I’m going to roll them out slowly so you guys don’t get broccoli-fatigue. 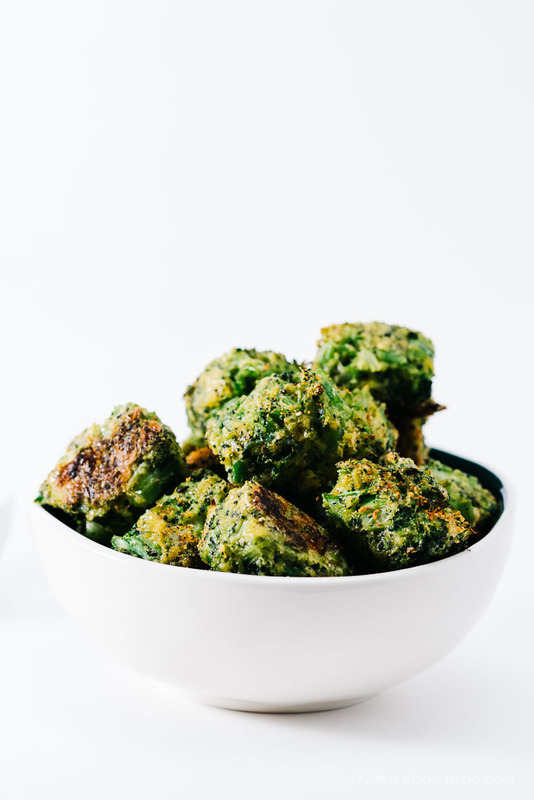 Not that I know how you could ever get tired of broccoli, especially if they taste like these little guys: broccoli cheddar tots! They may not look like much, but they’re completely addictive! 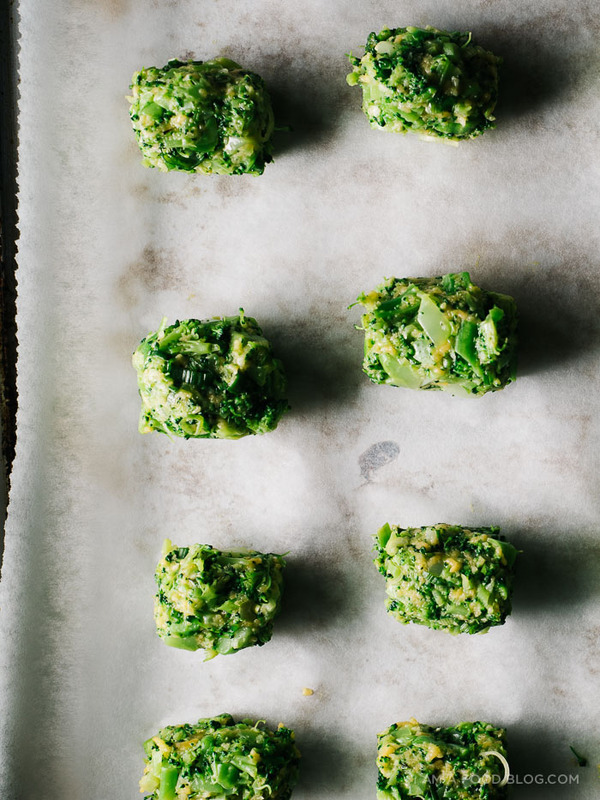 My broccoli and cheddar obsession lives on with these tots made for dipping. I spiced them up a bit with little shichimi togarashi dipped them in sriracha ketchup. Seriously good! Chop finely and mix throughly with the egg, green onions, cheddar, and panko. Season generously with salt and pepper. Scoop about 1.5 tablespoons of mix into your hands and shape into a tater-tot shape. It helps if you keep your hands wet while you’re shaping. Place on your prepared baking sheet. Repeat until all the tots are made. Sprinkle on shichimi togarashi, if using. Bake until golden brown and crispy, 18-20 minutes, rotating the baking sheet at the halfway mark. Remove from the oven and enjoy hot with extra shichimi togarashi, ketchup or sriracha! Note: Shichimi togarashi is a Japanese seven spice mixture. I like the little bit of heat it gives these guys, but it’s entirely optional. You can find it here. I used a mini ice cream scoop to keep the sizes consistent. 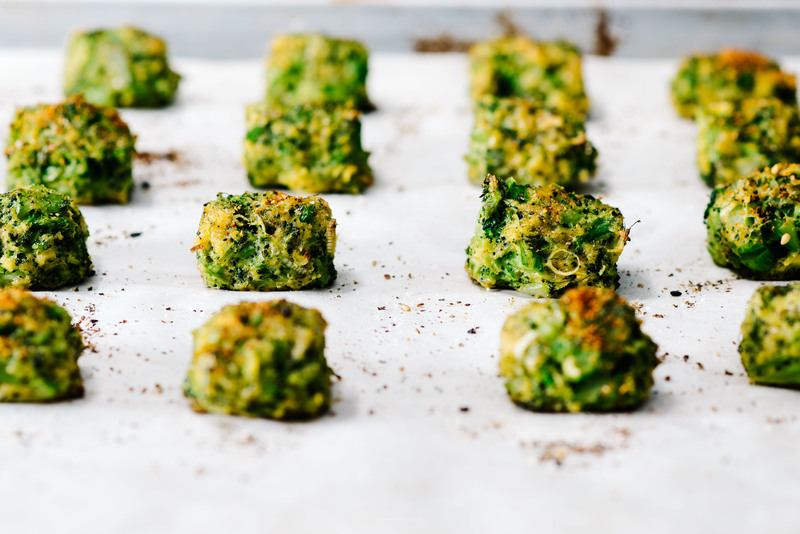 If you like, you can just scoop out the tots and bake without shaping into a log. pssss, you forgot the cheddar in the recipe :) THIS LOOKS SUPER YUM!!!!!!!!! I’m fairly new to your blog. I’ve been following for a couple weeks now but have probably tried 5 or 6 of your recipes and loved them all! I will definitely be trying this one too. We love broccoli in our house, even our three and one year old daughters! My three year old made your wonton lasagna cups with me a few weeks ago. They were fantastic. These tots sound great! I love the flavour! hahaha, fixed. i’m usually better, i promise! but, no excuses! Thank you so much for the delicious recipe. I am sure my kids and my soul are going to love it! you are amazing…THESE are amazing!! it’s funny, i’ve been eating a ton of broccoli too, as it turns out that it’s my 6-month-old’s favorite food so far. keep it coming!! whoa. wait. what??? 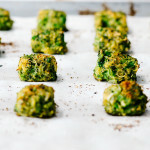 broccoli tots??? mind blown!!! you might like the heinz ketchup available in the UK. they have a variety that is ‘fiery chilli’ which is a nice mix of hot and ketchup. 8 heads of broccoli – I think we could have been separated t birth! You should try it roasted – RIDICULOUSLY ADDICTIVE! These look divine! Great way to get that broccoli :) Thanks for sharing! Where did you get that beer glass? Well these are gorgeous. And what’s this about broccoli not being popular? How? It’s one of my favorites, maybe my favorite, but then there’s asparagus and artichokes. Rambling. I love this post. I’m going to make these pronto!! YUMM. I love broccoli. Like love love it. And my dad hates it. So when I was little he used to sneak me his “trees” when my mom wasn’t looking. These little tots look so delish!! I’m still dying over that burger and now these? I hope my local grocery store is having a sale soon too, hehe. P.s. You have mad skills. 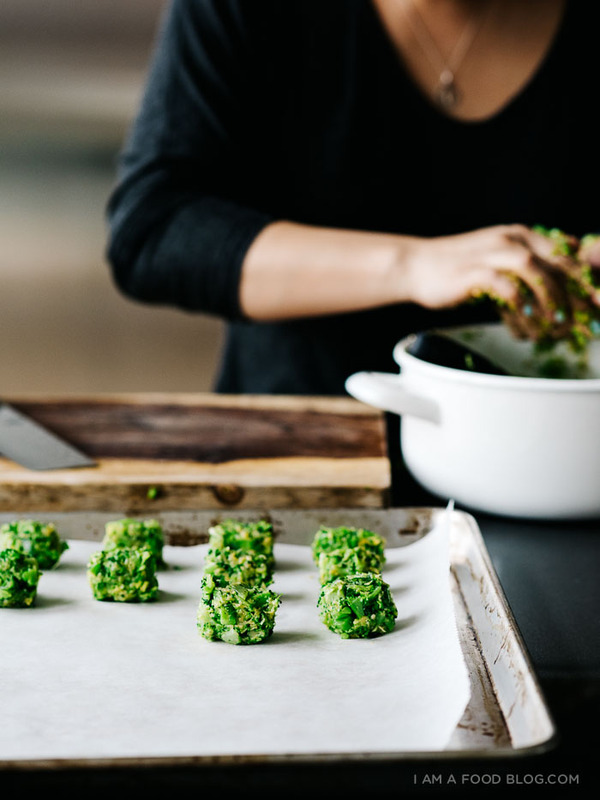 How you make broccoli look so good is beyond me–teach me your ways! Oh my god, haha, 8 heads of broccoli! I can relate to going on vegetable shopping sprees (especially when things are on sale), but I’ve certainly ever bought that much of a single vegetable. How do you manage to fit it all in the fridge? We usually find a way to cram everything in, but then the untidiness of the fridge bothers me. And, of course, the tots look delicious! I just bought waaaay too big a bag of chopped broccoli thats on its way out….could these be frozen? They’d be the perfect make-ahead snack! Finally, a vegetable I can get on board with! These look delicious. And your photography is fantastic, as always. Thank you!! Great recipe! My 2 yr old has eaten 3 of these in a row! I’ve a broccoli obsession as well. And a tot one too, apparently! Love your blog. Useful and fun. This recipe is okay but looks better than it tastes. I am not the idiot who used 4 substitutions or the one that says this looks yummy I think I’ll make it one day. I made it. It was ok. The sauce I used was chipotle in sauce mixed with mayo and sour cream and we also used ketchup which I tried but that was boring. I did not have the Chinese spice so maybe I am not qualified to comment. Maybe not enough salt. Sounds like my type of recipe, but I was wondering if there is anything that I could substitute the egg with? the egg is used as a binder to hold together the tots. you could try more cheese, but the tots might not hold together as well. panko is japanese bread crumbs – they’re larger than regular bread crumbs. frozen broccoli tends to have a higher water content than fresh, so i’d go with fresh! ADDING SALT IS NOT NECESSARY. WE EAT WAY TOO MUCH SALT! Hey there, I’d like to make these for a dinner party this weekend. Do you use the broccoli stems too or just the florets? Thanks! hi, i used the stems as well! just make sure everything is chopped up very finely. Love how you kept these so green by blanching just that one minute, and shocking. Can’t wait to try them! Forgive me for asking but what does “turning sheet half way” means? Thank you! i mean, when you’re baking, rotate the sheet so that the back of the baking sheet is rotated to the front so all the tots get cooked evenly. sorry about the confusion! I was wondering if you tried to AirFry these tots? haven’t tried yet, but that’s an excellent idea, it’s on my list!